We can predict current state for flute music community in South Korea. Cool stage, vivacious flutists playing! The brilliant debut of new generation flutists! This is the official gateway to success as a flutist in Korea! Many rookie flute players are emerging each year in the world and Korea. But these special players were selected among them by principal flutists or professors through rigorous screening and referral. 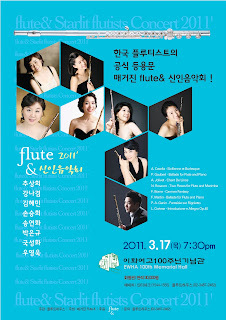 This Concert is one of the most critical concert of flute&. The Korean unique Flute professional magazine flute & (Flute & Flutist) was launched in 2002 have been growing with the development of flutists and flute culture of Korea. Appeared performers show solo pieces that can boast their own skills and talents. Which were wholly chose by themselves. 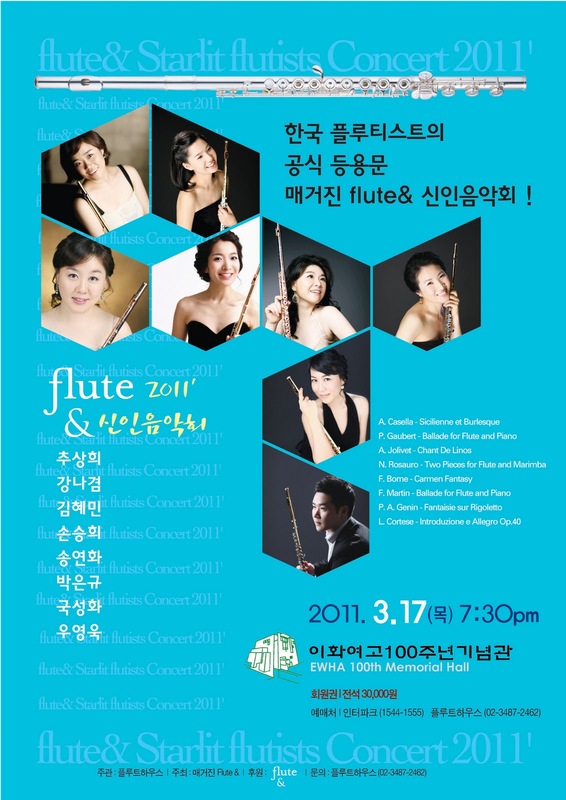 This concert would be the stage to prove the fact that Korea has grown into a world-class flute community through colorful performances of Korean promising players. 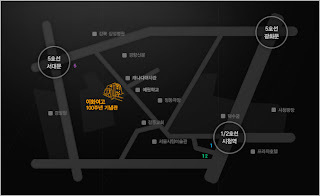 EWHA 100th Memorial Hall, 2011. 3. 17(Thursday) 7:30pm. 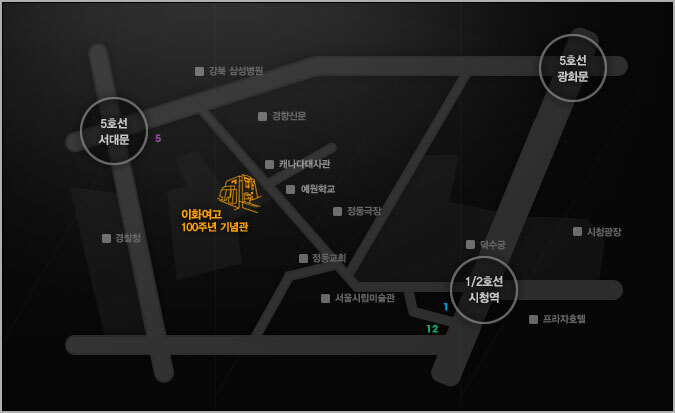 Direction of the Concert Hall.